This is a lovely French Art Deco tray. 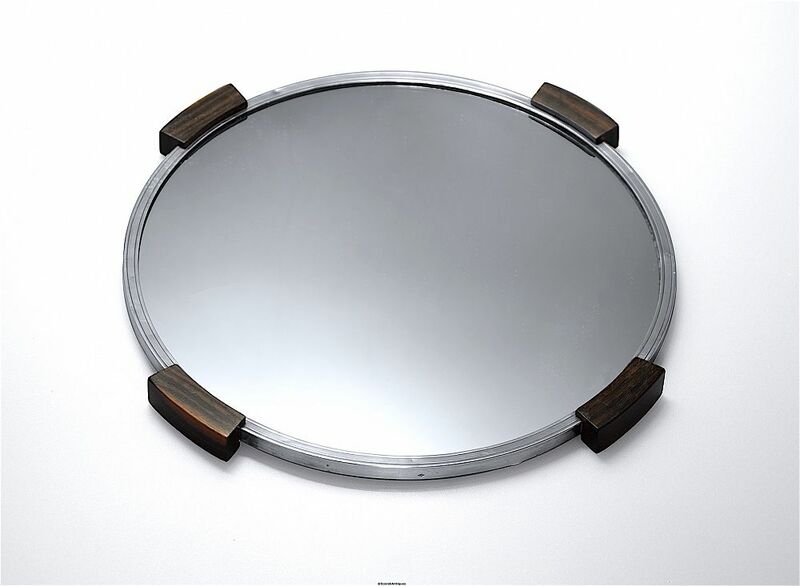 It has a round mirrored base within a silver frame that has 2 incised rings running around the inner & outer edge of the frame and 4 macassar ebony curved blocks positioned equi-distance around the tray that act has both handles & feet. The side of the silver frame has the French Minerva mark for silver and the initials "S F" with a sword like symbol between the letters all in a diamond shaped cartouche. I have been unable to trace this mark.